Crypto exchange and payments platform Coinify has announced support for three new cryptocurrencies – Bitcoin Cash (BCH), Bitcoin SV (BSV), and Stellar Lumens (XLM) – on its buy and sell platform, Bitcoin.com reported. Users would now be able to purchase these cryptocurrencies directly using bank transfer or credit card. 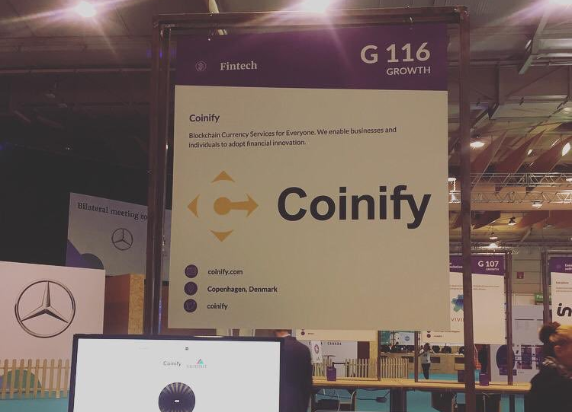 Coinify co-founder and CEO Mark Højgaard said the support for new coins is part of the company’s plans to support a total of 15 digital assets on its exchange by the end of 2019. He said that BCH, BSV and XLM are aligned to Coinify’s internal compliance standards as well as international regulation. “We are continually developing our services to support access to virtual currencies while taking an agnostic stance on the ecosystem. The real differentiator of Coinify is that we are not only offering low-cost bank transfers for buying these currencies, but users also have the option of instant purchases using all major payment cards. There just aren’t that many platforms out there that offer users direct card purchases of other virtual currencies, apart from [BTC],” Højgaard said. In addition to the support for new coins, Coinify has announced the rebranding of its individual trading platform “Buy and Sell”, which will now be called “Mycoinify”. The renaming of the platform comes as Coinify is extending its payments offerings, which will help differentiate its payments product suite for businesses, and Mycoinify, which is a B2C platform for private individuals. Incorporated in 2014, Coinify is backed by SEB Venture Capital, Nordic Eye Venture Capital, SEED Capital Denmark, and Accelerace.